Kathryn's Review Of "Have You Planned Your Heart Attack?" Hi. 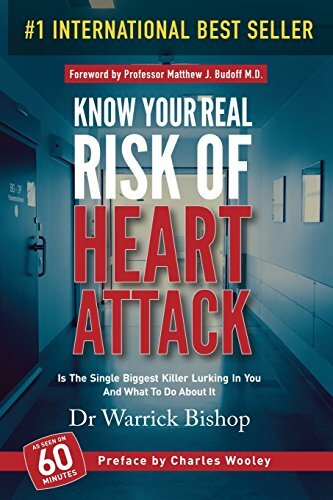 This is a quick thank you to Doctor Warrick Bishop for writing his book, "Have You Planned Your Heart Attack?" For me, this book has been very important since one of my family members recently had a heart episode where he needed to go and visit a cardiologist. This book empowered my family to know the questions to ask and instead of my family member being a passive person on their healthcare journey, they became empowered and they were participating actively in their health care journey because they knew what to ask. They knew what was actually happening. So I encourage people to buy this book not just if you're having a heart event but is actually if you're planning not to have a heart event. It's about empowering us to have healthy hearts before we get to having a heart attack. So, thank you, Dr. Bishop for sharing this knowledge with people like me people who are not medical, and it's an easy book to read. It is empowering and we really really appreciate it. On behalf of our family, thank you. Thank you very much.